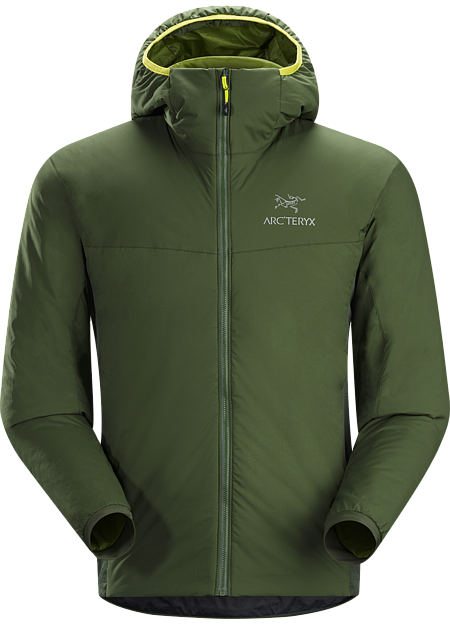 This versatile Coreloft™ insulated hoody functions as an outer layer in cold, dry conditions or as a mid layer in cold, wet conditions. Atom Series: Synthetic insulated mid layers | AR: All-Round. 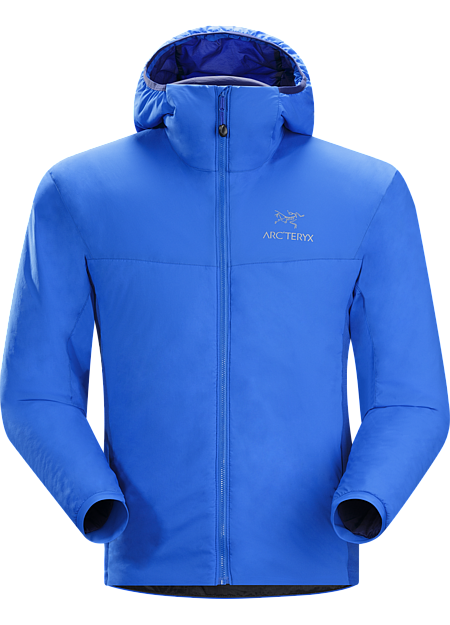 Significantly warmer and more protective than a fleece hoody, this insulated hoody is breathable enough to be used as a super warm mid-layer on frigid days and protective enough to be an outer layer while belaying or hanging out at camp. An extra thick dose of synthetic Coreloft™ insulates but packs small. 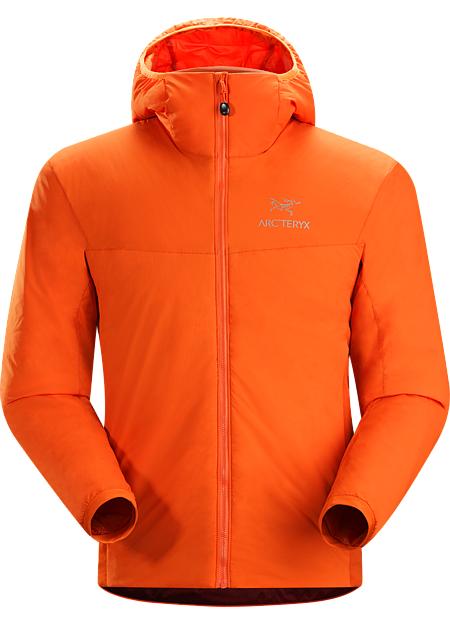 Developed by Arc'teryx, Coreloft™ is a synthetic insulation made of staple fibres in mixed sizes that are crimped to trap air and retain warmth. Available in different thicknesses for end-use performance and comfort. 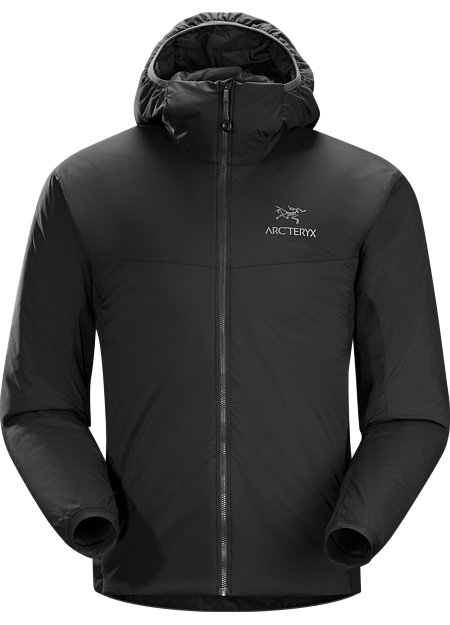 Insulated mid layers made with hydrophobic synthetic material that resists absorbing moisture. 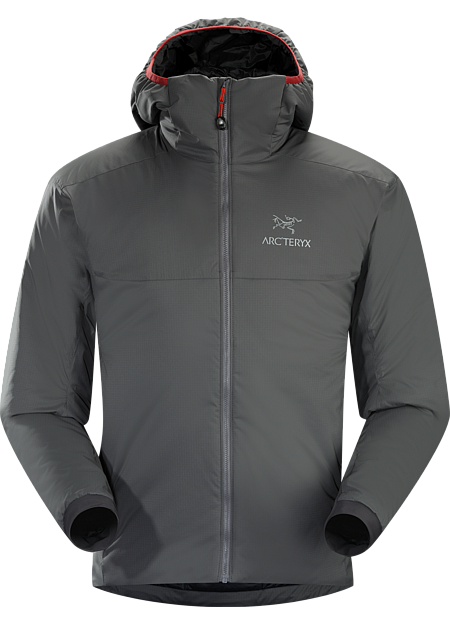 Outer fabric has a water-repellent finish. I love this jacket so far. I ordered it along with 2 other long black rain jackets and this one was the winner. I live in Alaska and it rains all the time so I wanted a quality rain jacket that was also stylish. For me, the fit of this was so much better than any others I tried. I have lots of rain jackets and this is becoming my favorite. I love the cinch around the waist. It's very flattering! 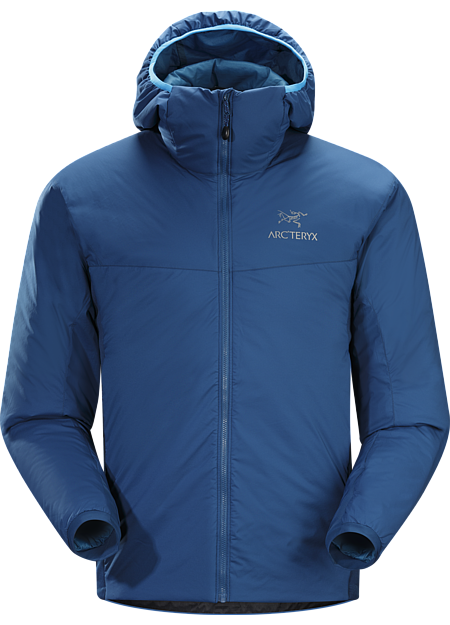 I ordered a Columbia 2XL I love it! The price range was what I was looking to buy. It looks and feels amazing! 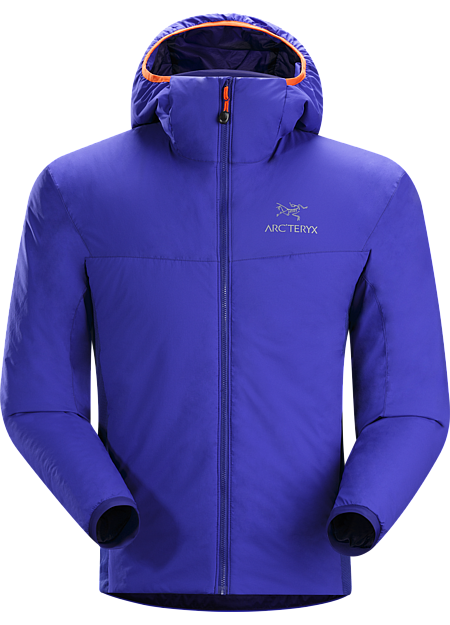 Great price, great fit, extremely comfortable. I also have the rain jacket. Classy yet casual.